Black Panther wears a black suit that covered his entire body that is covered in silver markings. His “eyes” are sparkly silver. 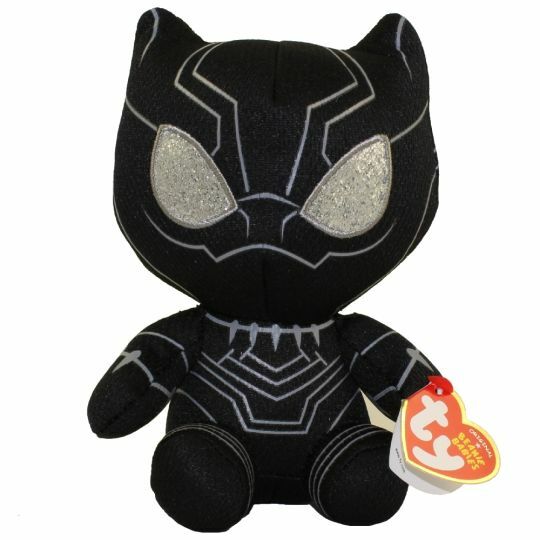 The Black Panther Beanie Baby was released in July 2018. He doesn’t have a Birthday or poem in his swing tag. Black Panther is from the Marvel film, Black Panther. The character first appeared in the Marvel comic, The Fantastic Four in 1966.